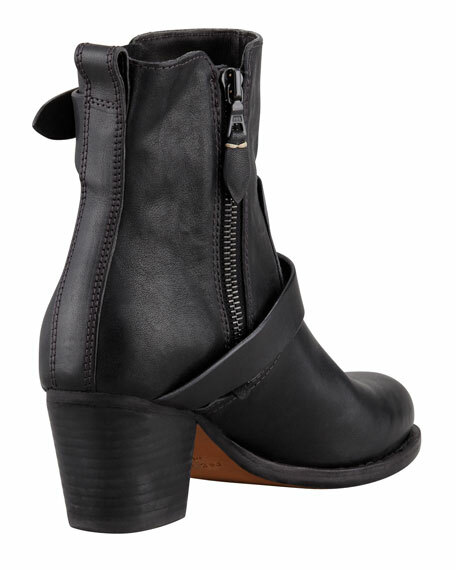 The Noelle motorcycle boot follows Rag & Bone's prescription of simple and streamlined design with subtle edge. 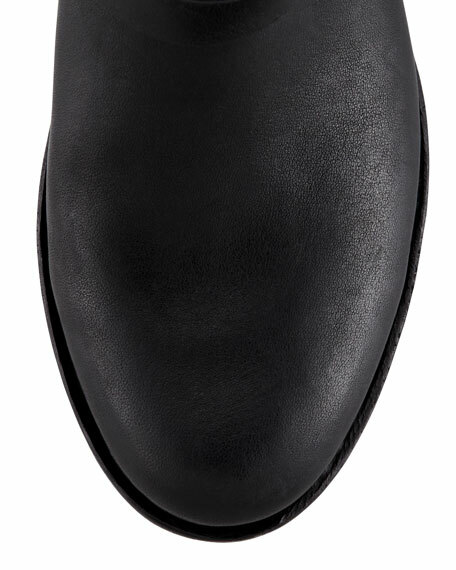 Leather upper with topstitch trim. Notched belt across vamp, at opening. Inside zip with pull tab. 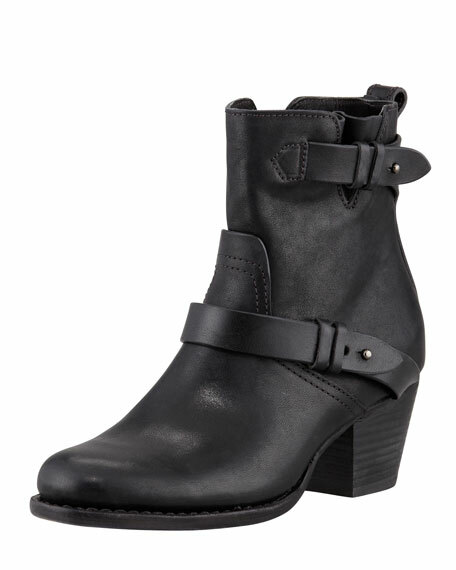 2 1/2" stacked heel; 5" overall height.